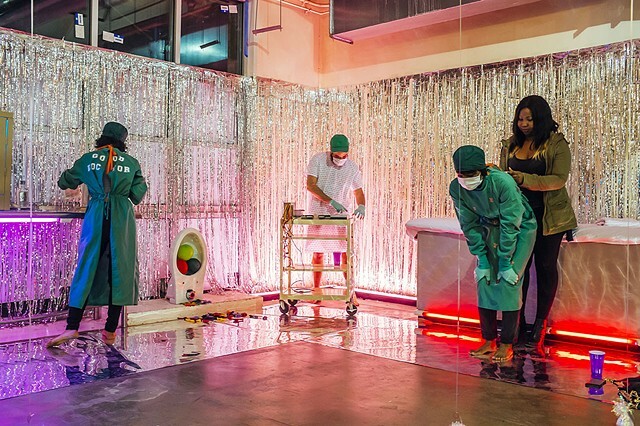 12 x 15 x 10 ft. 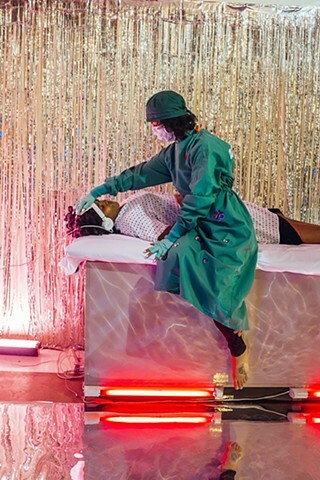 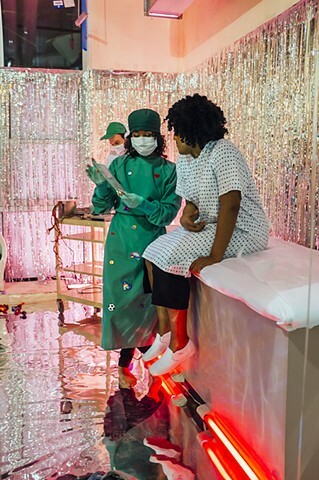 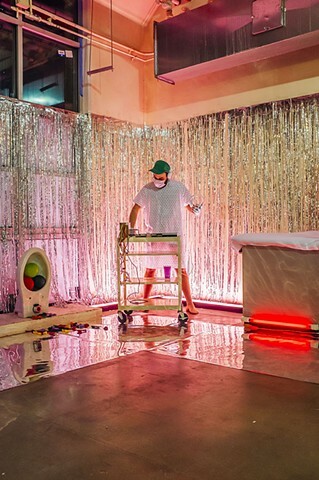 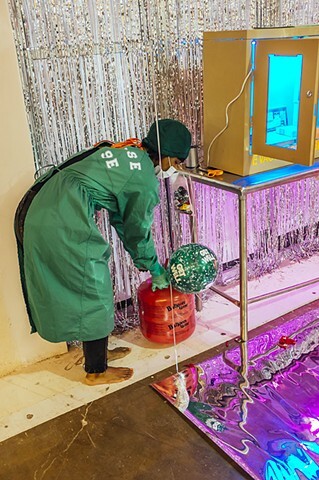 Staged in a former Pfizer pharmaceutical factory, “Get Well” is an installation and performance where one “patient” at a time is taken through the process of visiting a contrived clinic that is run by a doctor, nurse and DJ. 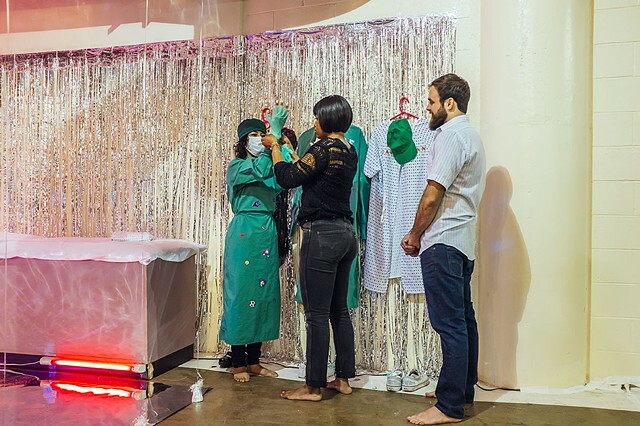 The “patient” is guided through the actions of lling out forms, putting on a medical gown, a physical and receiving a mystical treatment for what is ailing them.